View More In Stick Vacuums & Electric Brooms. 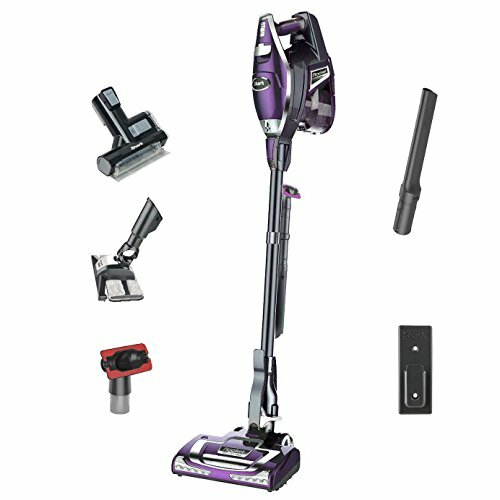 The Shark Rocket Deluxe Pro Ultra-Light Upright/Stick Vacuum thoroughly cleans bare floors and deep cleans carpets. At under 9 pounds, this vacuum easily converts into a handheld vacuum for versatile floor-to-ceiling cleaning. It is equipped with powerful LED lights on both the main body and on the floor nozzle and has 2X the dust cup capacity of the original Rocket. Its slim design and handy wand are also perfect for reaching under furniture or high narrow spaces. Vacuum Includes: Main vacuum body with wand and floor nozzle, Mini Motorized Hand Tool, Dust-Away Hard Floor Attachment (with one pad), 12" Crevice Tool, Dusting Brush, Upholstery Tool, Accessory Bag and Wall Mount. Nortech Complete 55 Gallon Static Conductive Vacuum Unit With 2" Vacuum Hose,Tools & Dolly,Specs: 68 SCFM,3/4" FNPT Air Inlet,15 HP,185 Vacuum Lift,163 SCFM Vacuum Flow,Uses N635 Filter,121 Lbs. Boss Cleaning Equipment B100501 Carpet Sweeper, 9.5"